The diagnostics equipment and medical device industry has demonstrated and continued to record a period of steady growth, reporting an average of 2.3% over the last five years and accounts for a total $179bn share of the US economy. The principle driving force behind this growth is an aging and growing population, coupled with advances in science and technology; such a demographic shift ensures there is an increasing demand for medical devices and instruments, and advances in medical science create new treatments that cannot be undertaken without specialist equipment. The medical industry is akin to an arms race: as diseases mutate over time, new treatments have to be developed to combat illnesses, and this requires new methods, practices and medical products. At the same time, medical science has helped to develop treatments for previously untreatable diseases while developing more efficient treatments to replace old methods. All this requires new hardware, and the medical profession also has an ongoing need for replacement equipment. Medical device distributors are riding this growth trend and have seen an increase in the number of mergers and acquisitions to give corporations stronger footholds on the industry. All the factors outlined above have contributed to the slow and steady growth amongst medical technology, device and equipment distributors. To fully seize as much of the growing market in the industry as possible, distributors will need to find more creative ways to reduce cost models, centralize operations and mitigate risks. Inventory optimization is paramount in the medical device industry. Increased costs and competitive markets mean that medical device distributors need to apply cost containment when purchasing stock. Older methods of continuous replenishment without analyzing the longevity of product life cycles can lead to burdensome carrying costs and stock piles of excess inventory. Cloud based software will help to optimize stock levels, purchasing and planning processes. 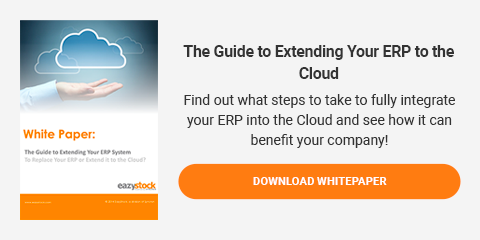 Optimization software, like EazyStock, easily connects to ERP systems to advise procurement managers what to buy, when to buy and how much to buy to meet customer needs and maintain healthy profit margins. The cost of regulation means that smaller companies may not be able to maintain steady profitability. Larger organizations that acquire these companies help offset the challenges of regulation. These mergers also help medical device wholesalers to enter niche markets while using economies of scale to ensure compliance with regulations. If your business is not large enough to acquire other companies, sharing resources, contacts and opportunities with other similar businesses will mirror the trend towards consolidation amongst healthcare suppliers. This will ensure that there are sufficient resources across all businesses to leverage opportunities among larger networks of product end users. Remaining competitive in this market involves ensuring that the business has the medical products to answer the customers’ needs. Knowing what your company will need 1 month, 3 months, 3 years in advance is a powerful tool to reducing cost structures and ensuring product availability. Demand forecasting is essential to ensure that there is sufficient safety stock to fill orders and prevent inventory obsolescence in a fast-paced changing market. With all medical device and equipment distributors looking to build a stronger competitive advantage, it is important that operations are streamlined for a business to remain agile and profitable. To keep processes optimized, businesses in the medical device industry can use add-on software such as EazyStock’s Inventory Optimization Software that increases forecasting accuracy, unifies processes across multiple warehouses and stock locations, and automates replenishment.